Winter Storm Panic at Bala Cynwyd Acme! 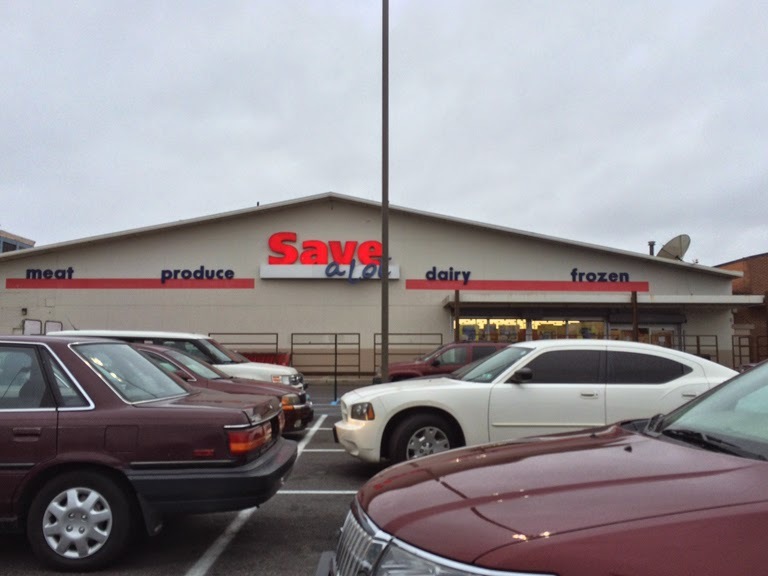 Today we're visiting yet another former Acme that is now a Save A Lot. 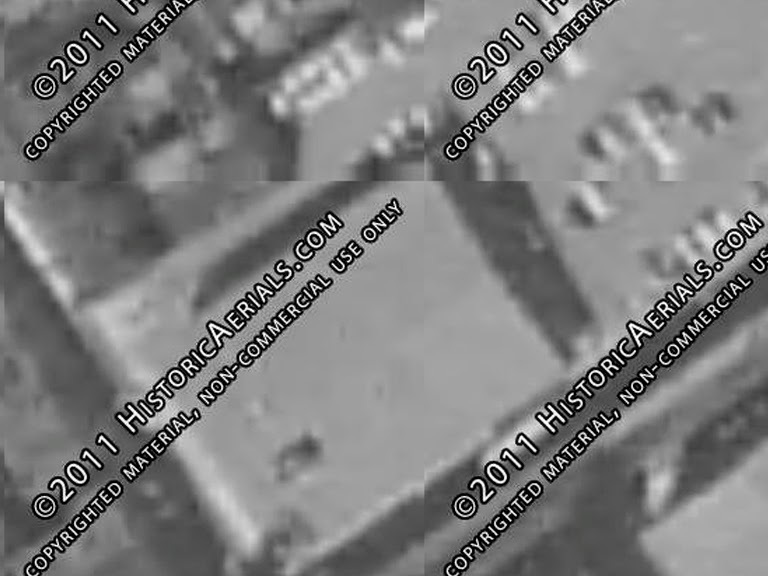 The pictures come to us courtesy of dougbalt. 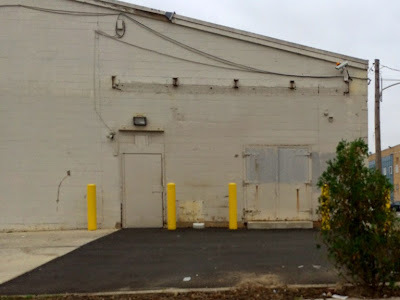 Help with covering former stores in Philadelphia is always appreciated as there are a ton waiting to make their way to the blog. 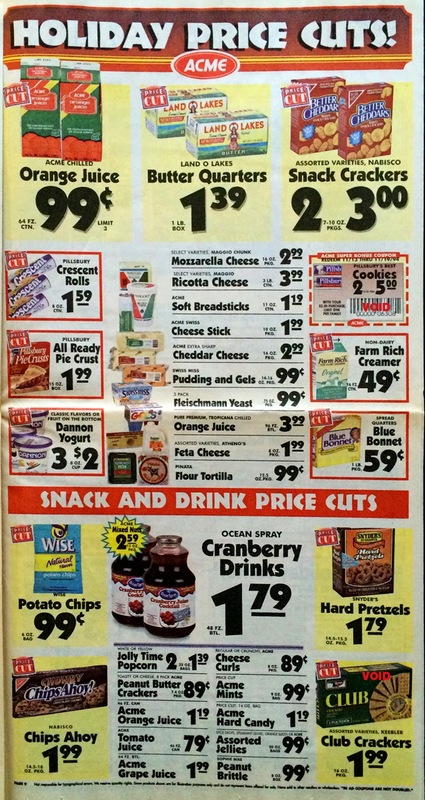 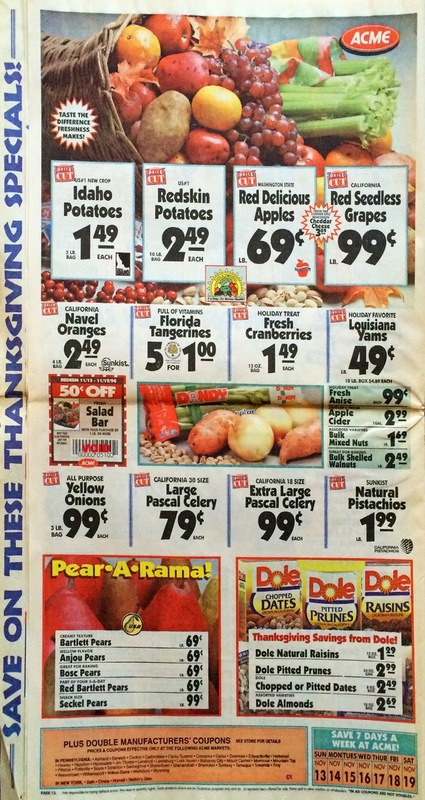 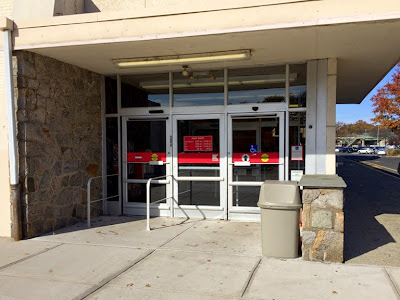 The other stores I can pull up from memory which SuperValu closed are Harve de Grace and Quakertown. 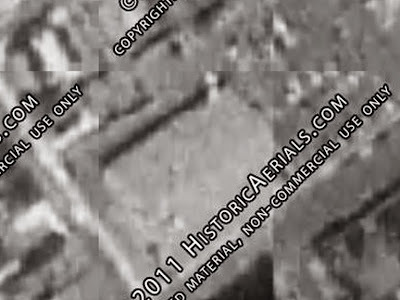 Does anyone know of others? 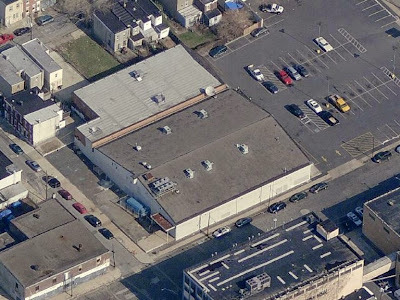 I would like to put together a definitive list at some point. 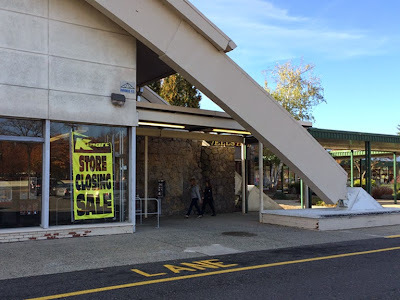 Another list I would love to make is all the stores that were closed under Albertsons leadership from 1999 to 2006. 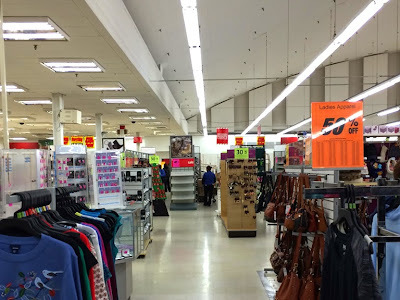 Not even sure where to start as I know a lot of stores were closed during those years and tracking down articles online from that long ago is not an easy task. 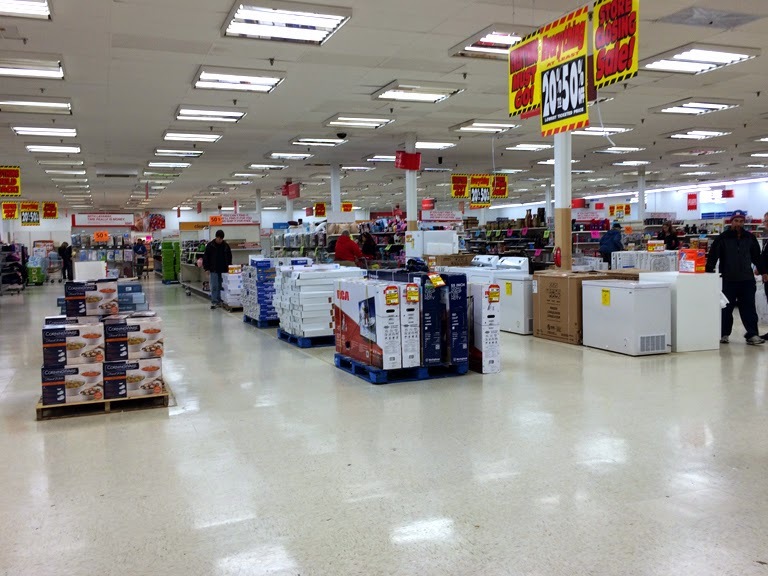 Update: Two more stores closed under SuperValu include Freehold and Marlboro. Thanks to Albertsons Florida Blog for pointing them out! 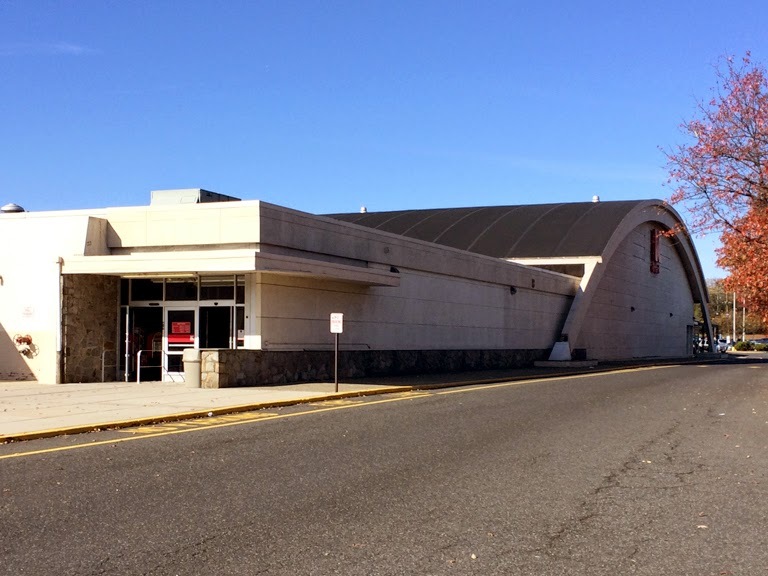 And one more added to the list... Abescon, NJ! 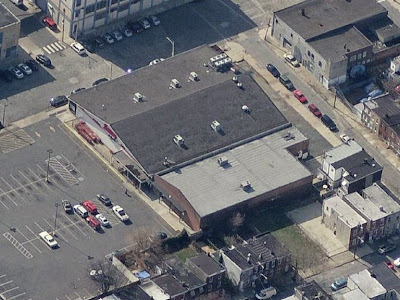 Back to the Lehigh Ave Save A Lot... interesting store built next door. 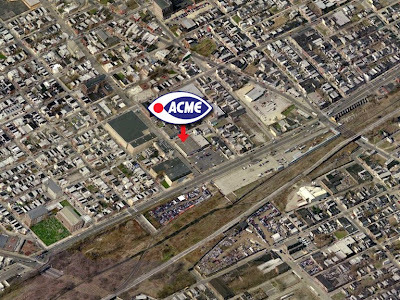 Looks like a mini-Acme! 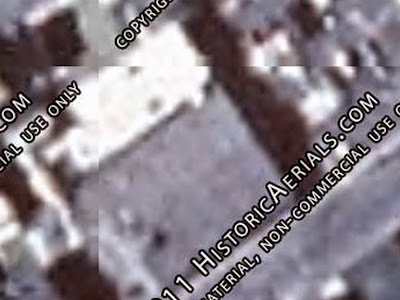 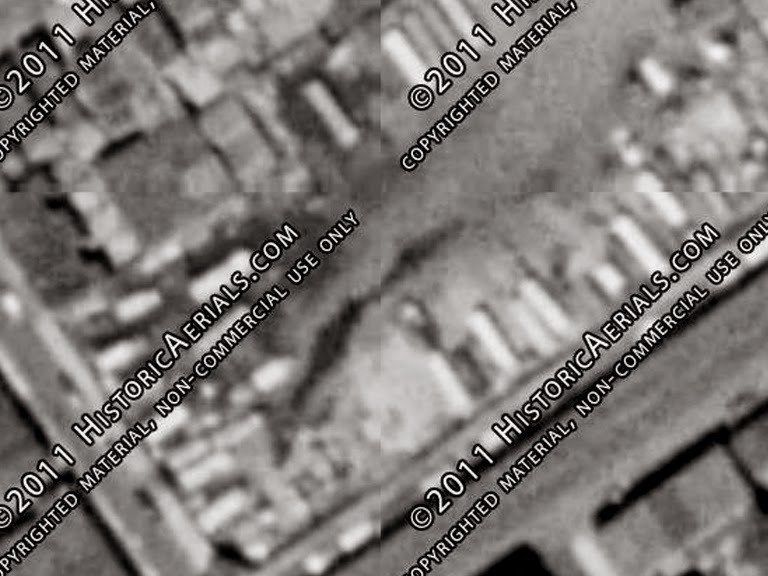 According the historic images, this building arrived sometime after the Acme had left. 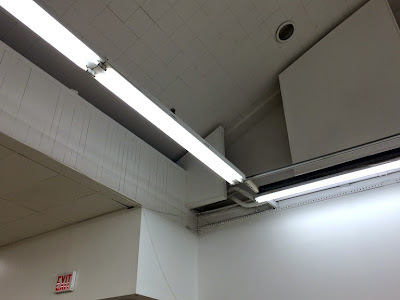 Naturally a drop ceiling has been added inside. 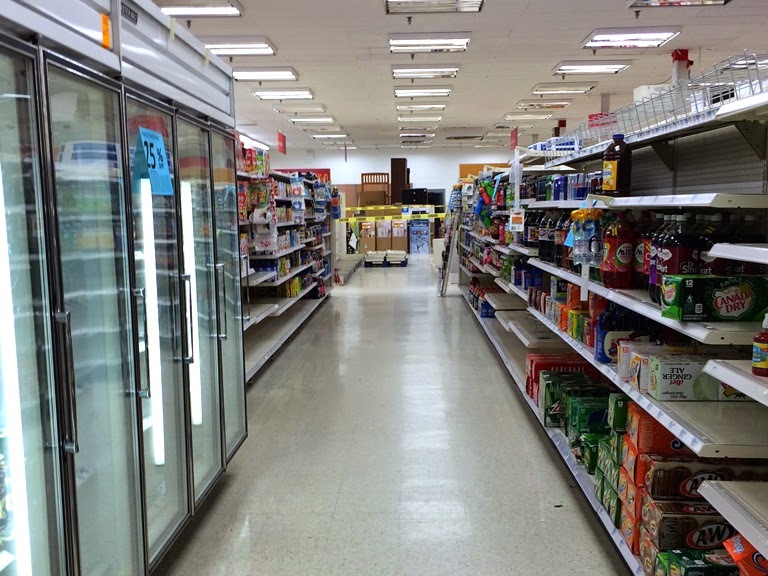 Doug noted that most aisles run perpendicular to the front of the store. 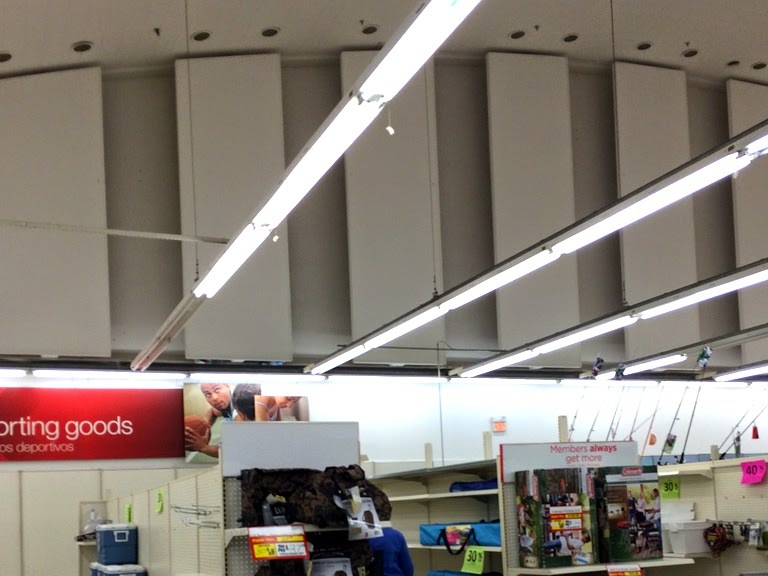 Customer Service is in about the same spot as it would have been in the Acme. A look around back. The awning has been removed at this end. Very small air vent cover at the top of the pithed-roof. If you look closely to the left of the air vent cover you can see the 4 second floor windows are bricked over. The newer building next door is on the left. 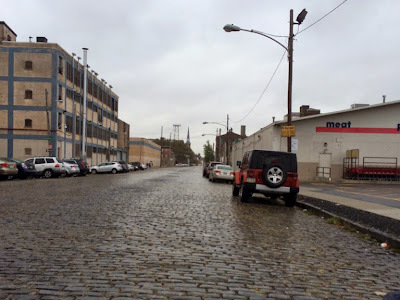 Doug took a picture of Trenton Avenue and all of its cobblestone glory! A wide-shot of the former Acme's location. 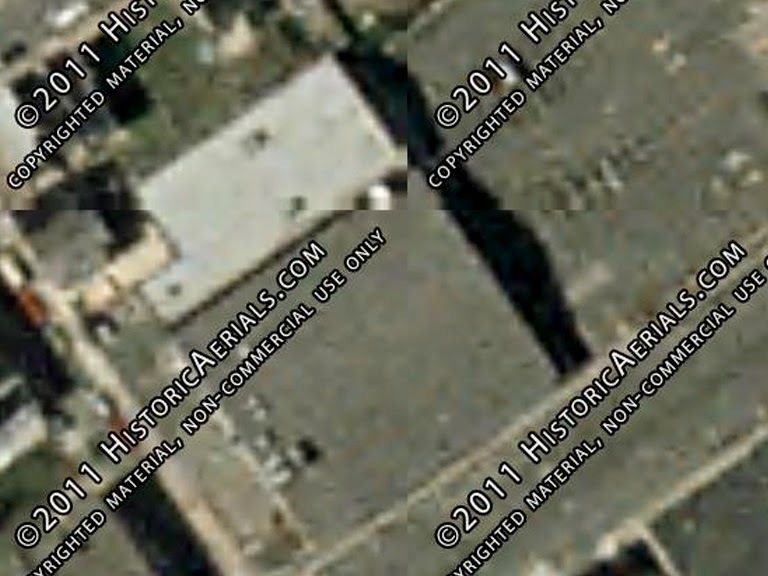 1995 is the first year we see the building next door. 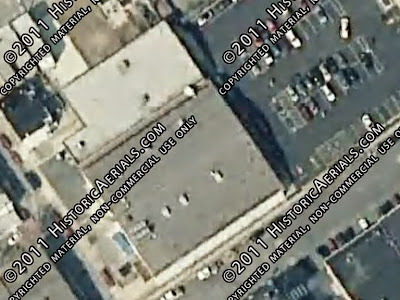 The next available image shows the former Acme standing alone. About 3 years old here. 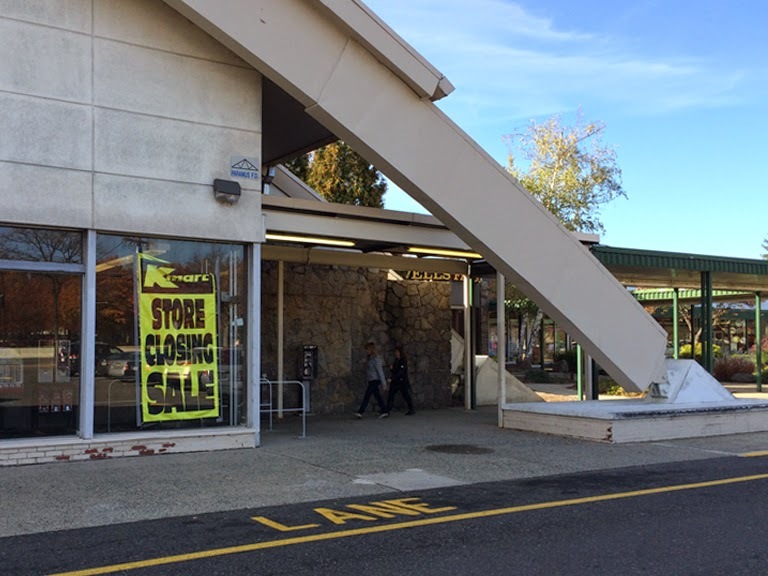 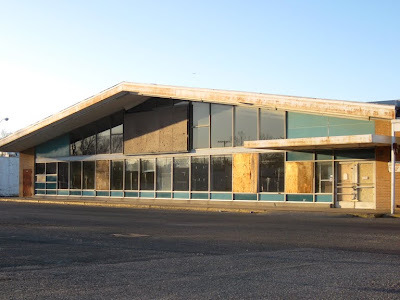 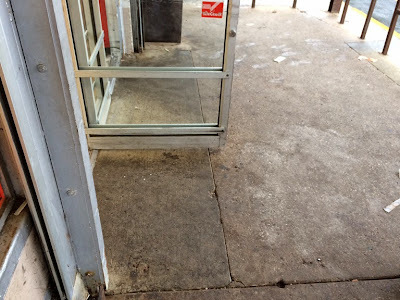 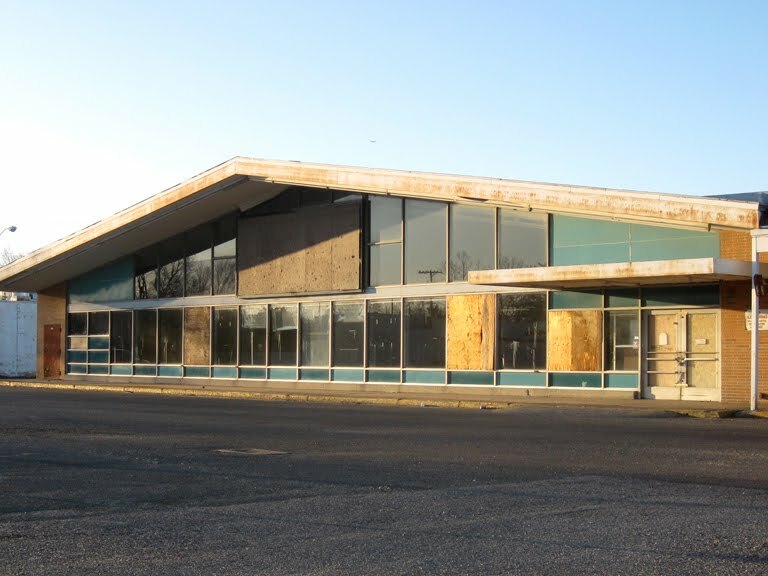 Thanks to Doug for the photos of this former Acme! 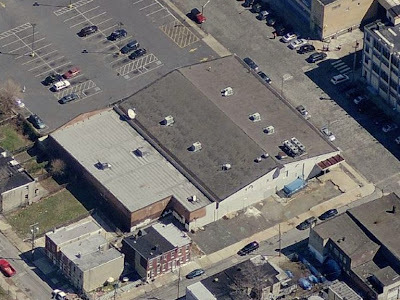 Plans to tear down the former pitched-roof Acme have been officially scrapped! 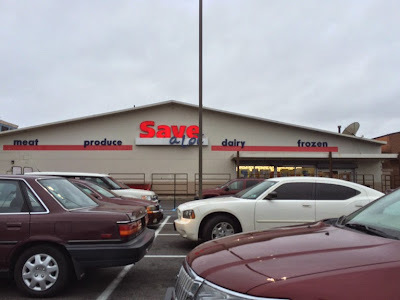 Save A Lot will be moving in to the space and making very little changes to the exterior. 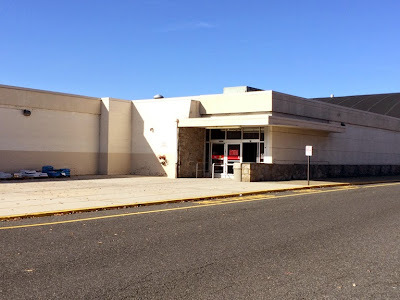 An article on nj.com has all the details and includes a rendering of how the store will look in the very near future. 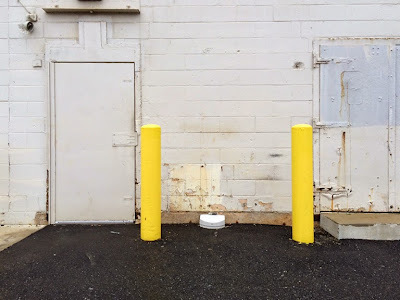 You can jump over to the article by clicking here. Thanks to Judy for sending in the information! 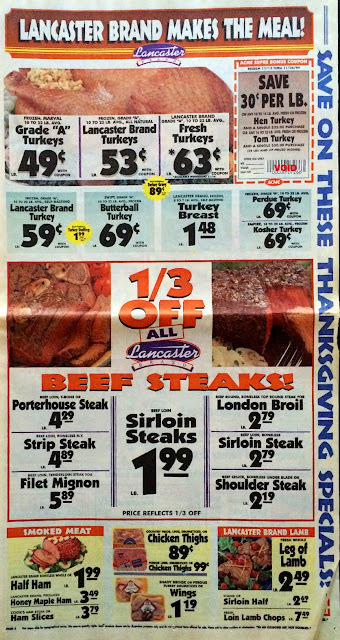 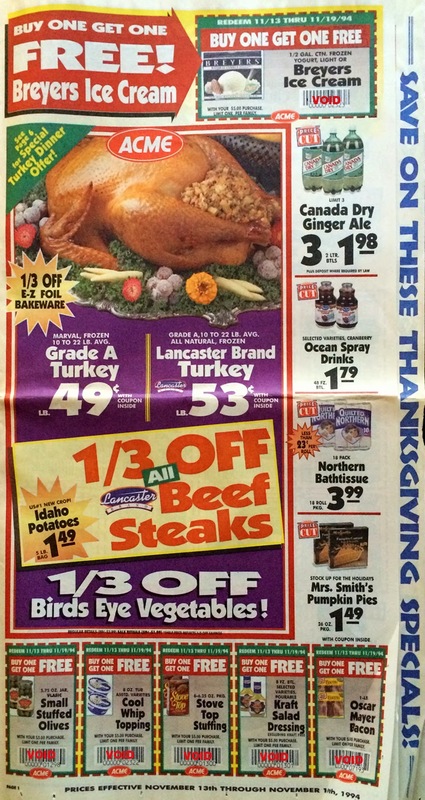 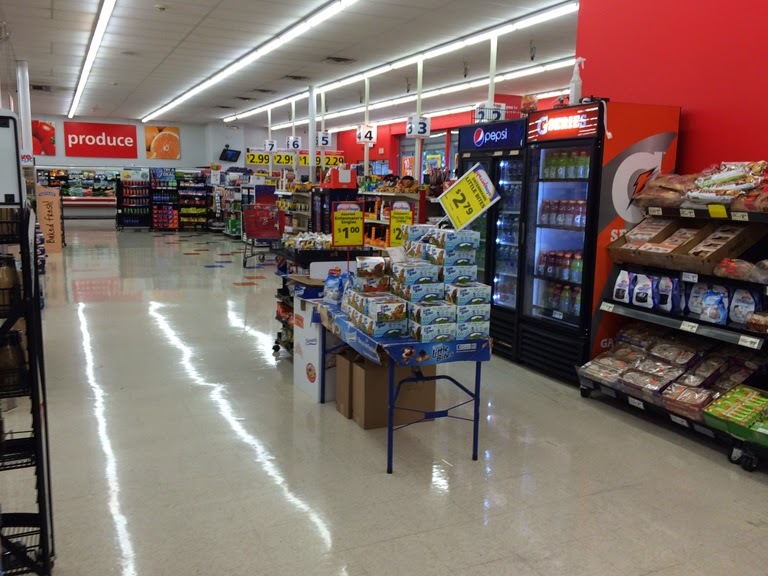 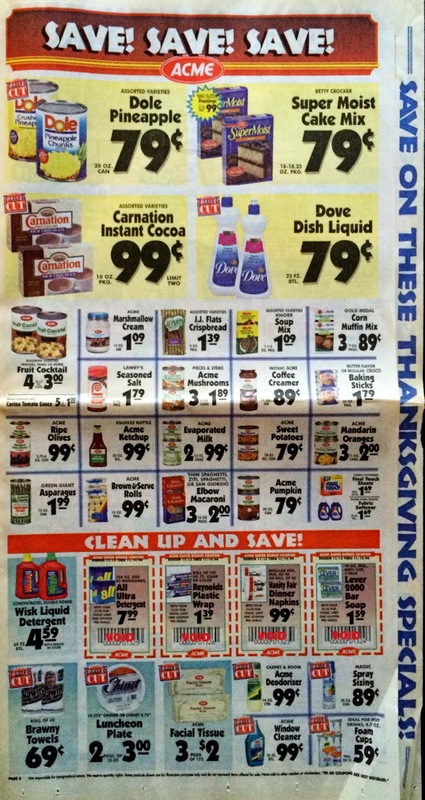 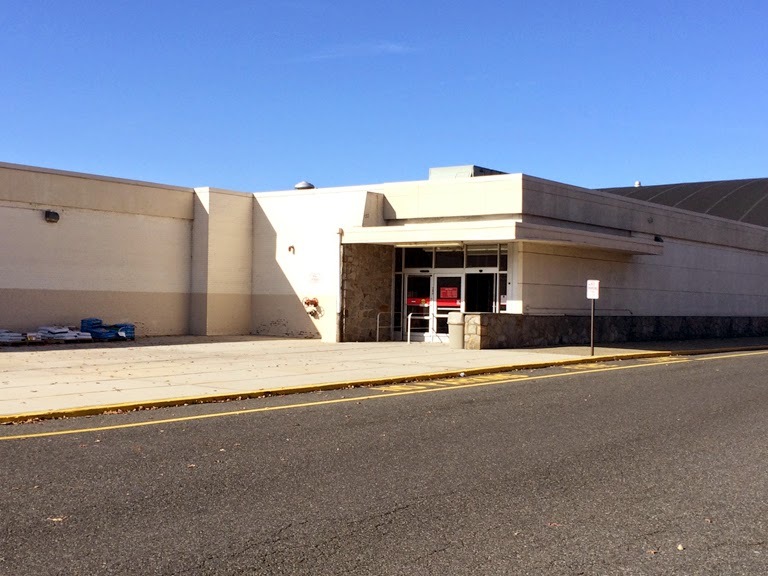 For full coverage of the Paulsboro Acme, please click here. 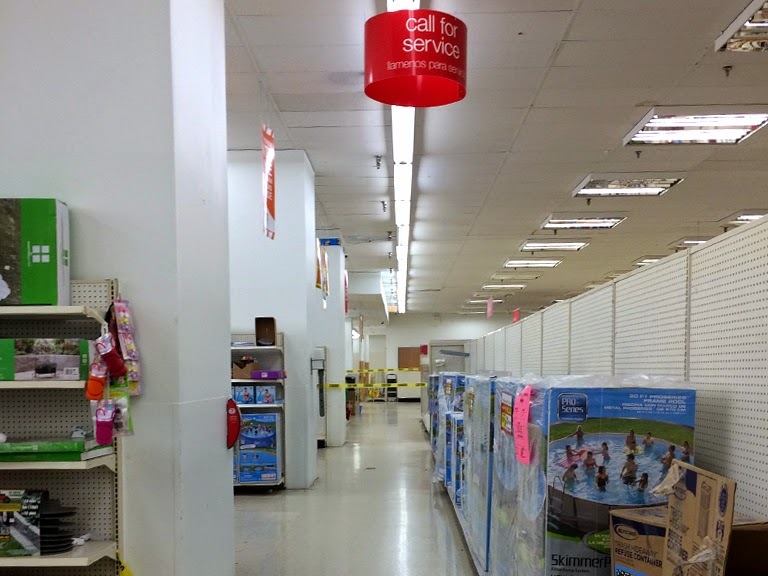 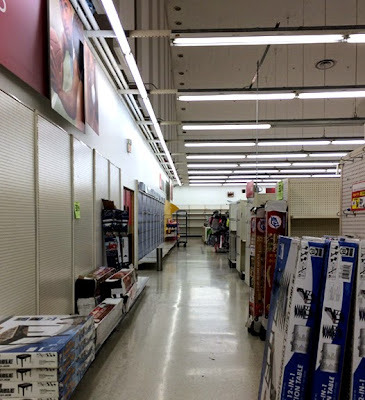 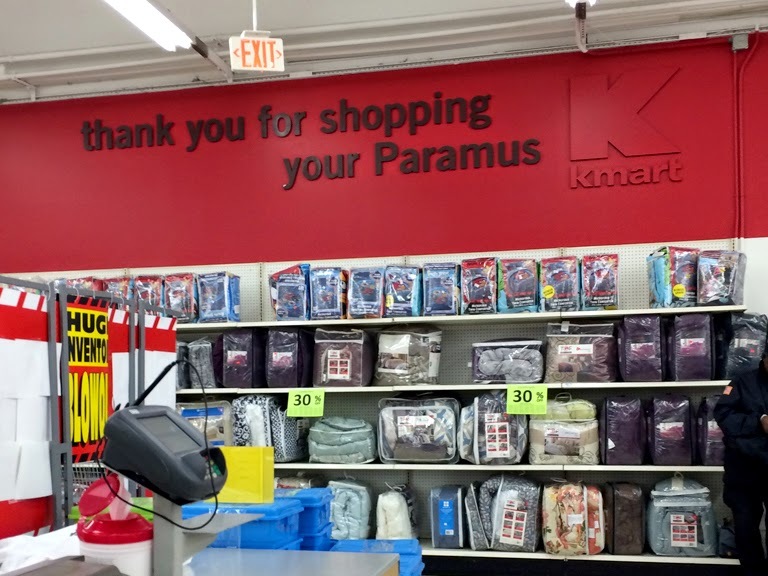 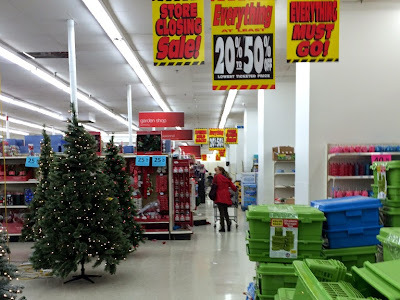 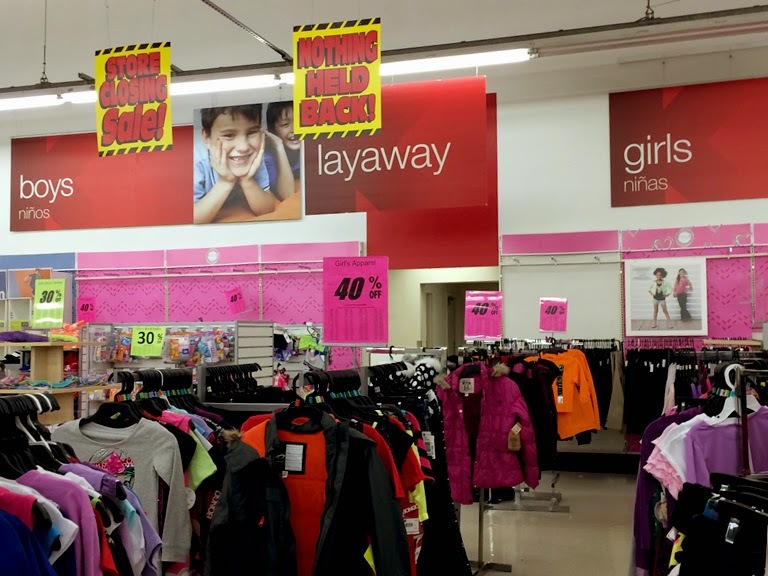 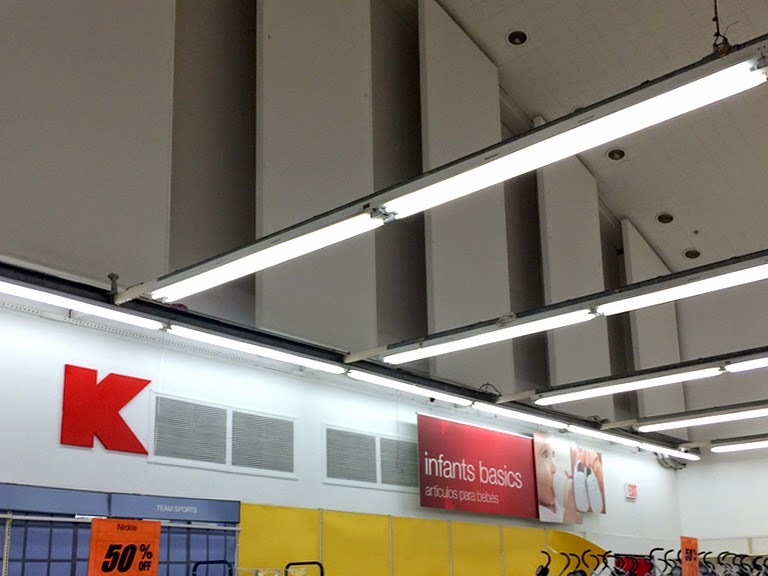 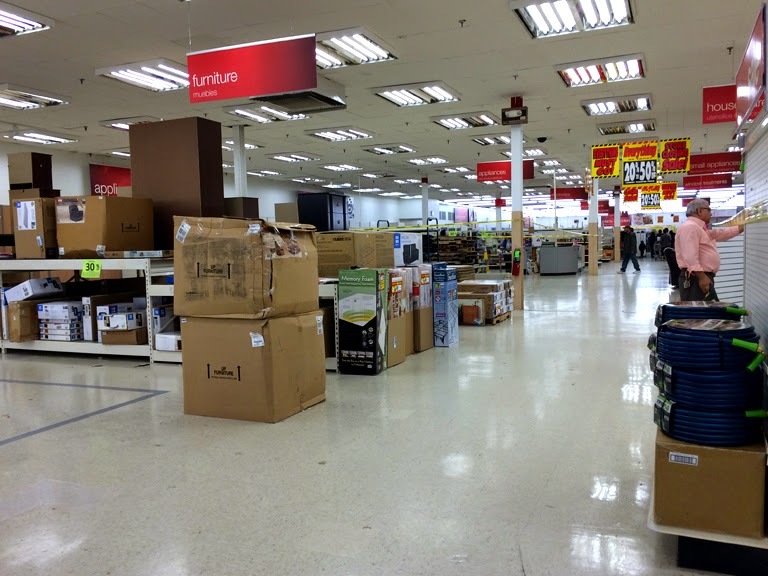 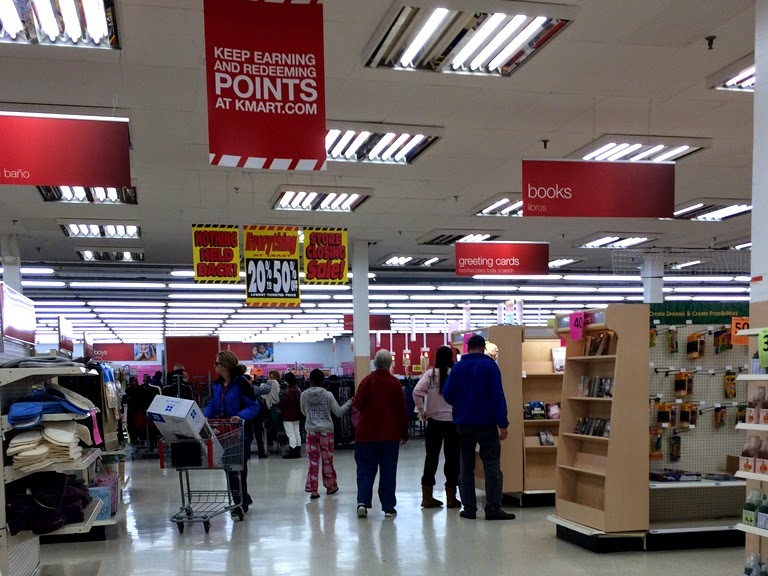 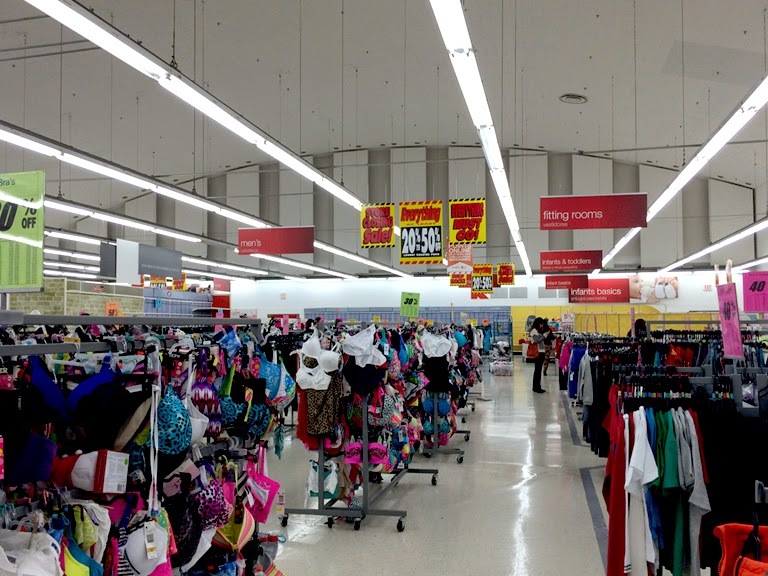 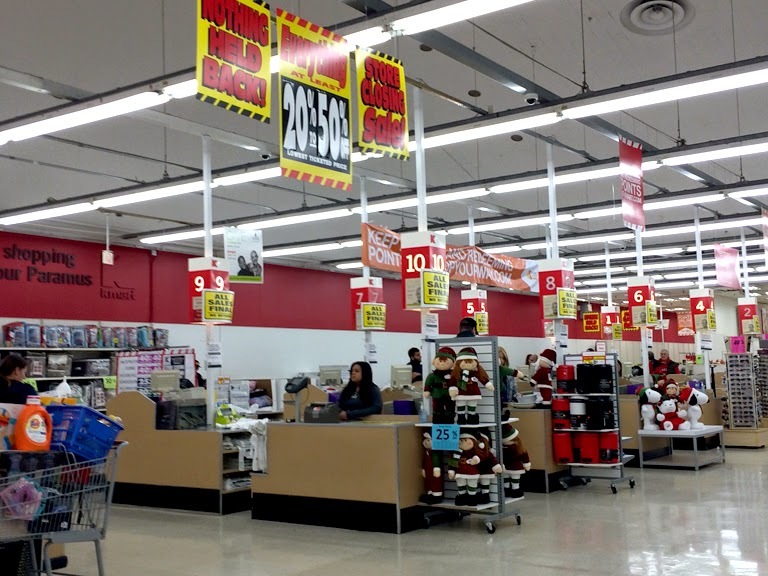 As mentioned in last week's News Break, the Paramus Kmart is shutting down in December. 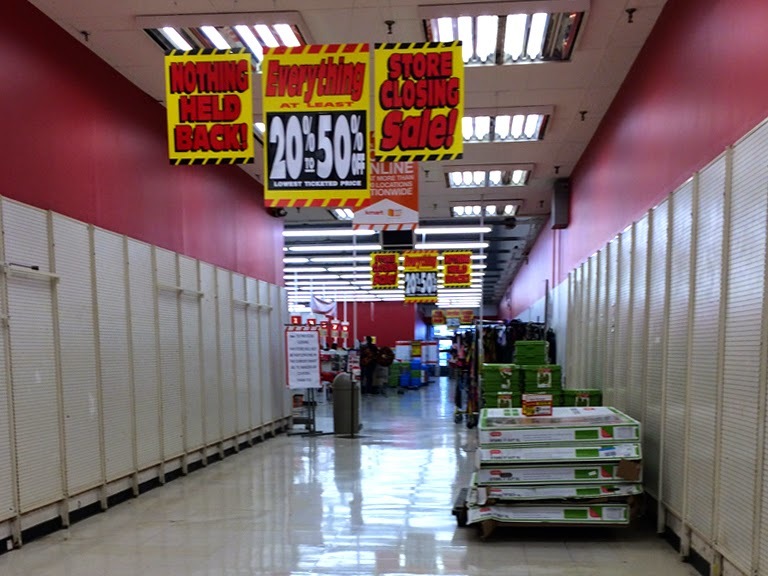 Liquidation sales are well underway. 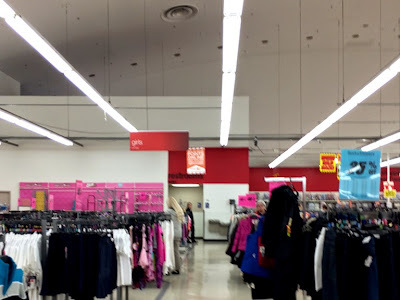 I could not let the store fade into oblivion without an exhaustive tour of its very unique interior. 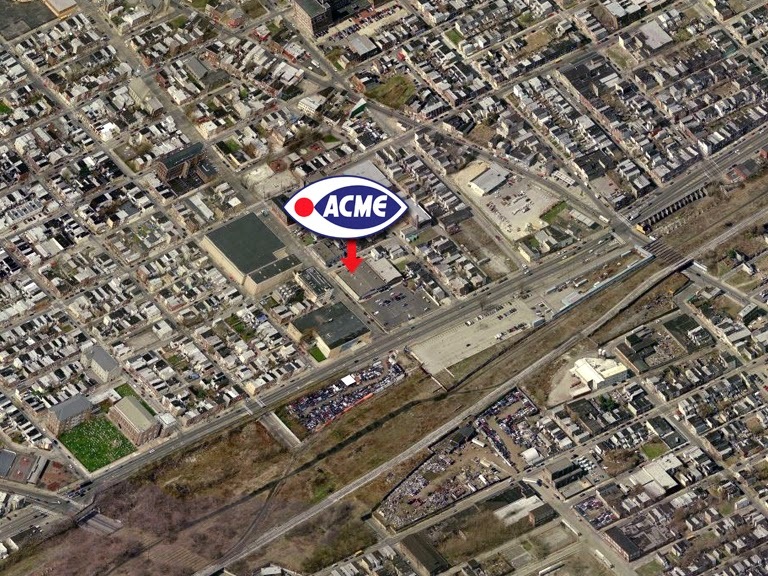 Featuring a non-gocery store locations on the blog is certainly not the norm here on Acme Style. This particular location actually does qualify as a former grocery store as it was originally home to Grand Way, which combined a discount store with a supermarket. 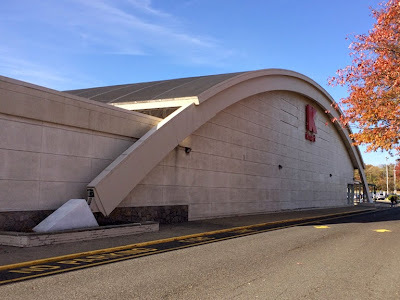 When Grand Way came to an end, the supermarket portion of the business opened at the other end of the shopping center as a Grand Union. 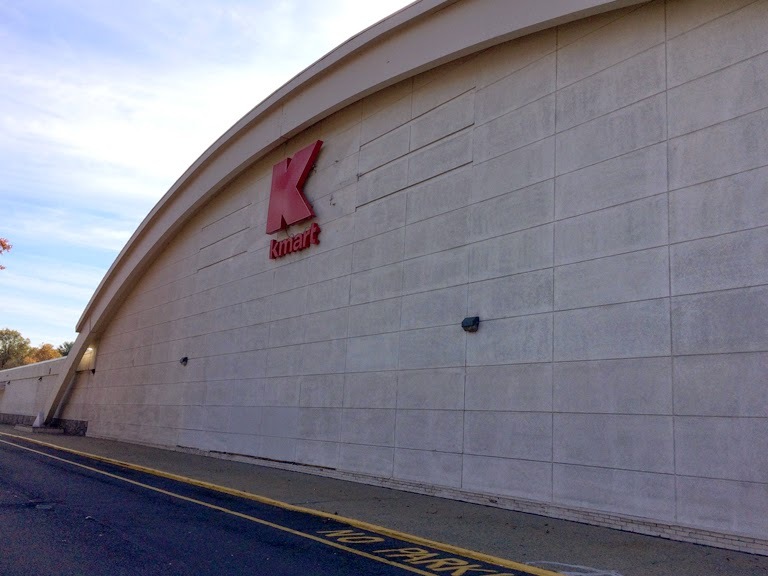 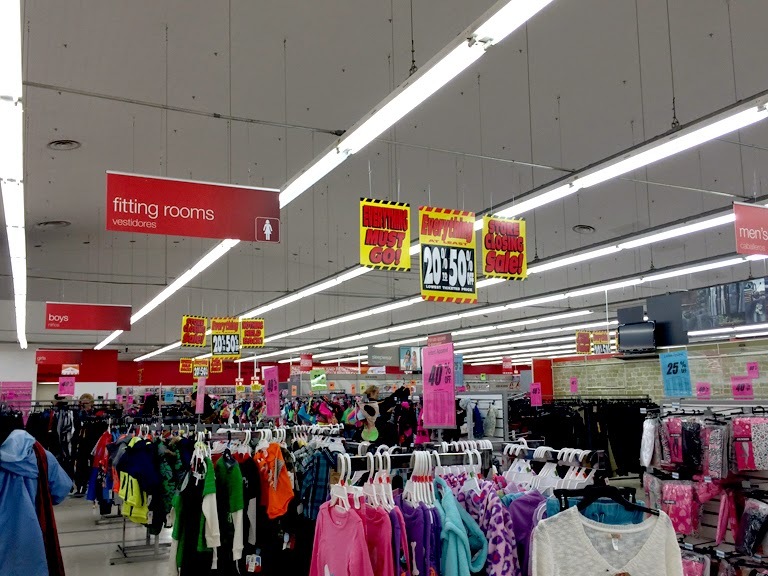 Kmart moved into the space as the new discount retailer for this shopping center. 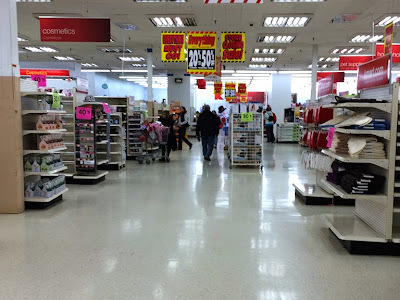 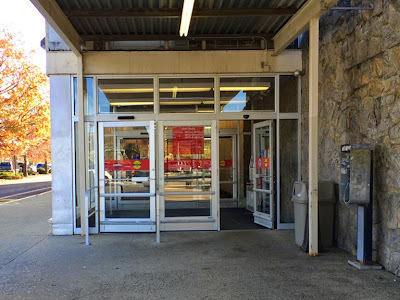 By all accounts, it has been very successful over the years.The Paramus Kmart has always been located a very comfortable distance from other discounters like Walmart and Target. 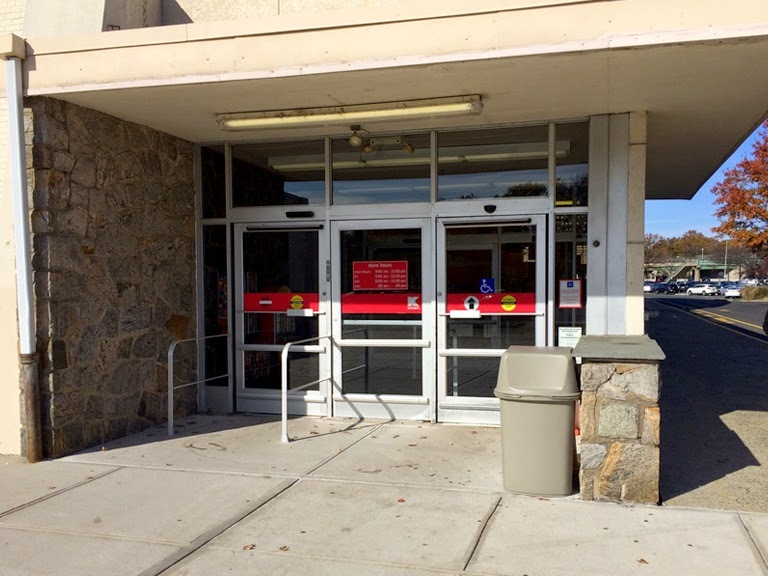 Well, that was until 2010 when Target opened in the Bergen Town Center which is about 15 minutes away. Thing is... with the traffic in Paramus, you would rarely get there in 15 minutes, especially on a Saturday. The area still observes Blue Laws so all non-food retailers are closed in Sundays which makes Saturdays absolute mayhem in the area. We'll have to wait and see what happens here to really know the reason why Kmart is closing. 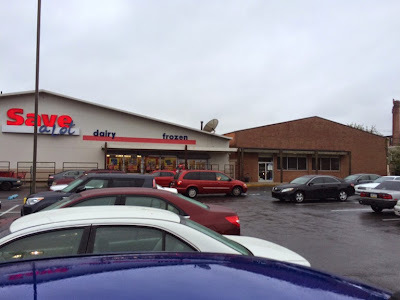 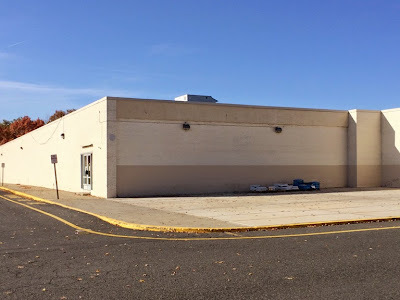 As speculated on the blog and elsewhere on the internet, Stop and Shop may be interested in building a replacement store on this portion of the property. 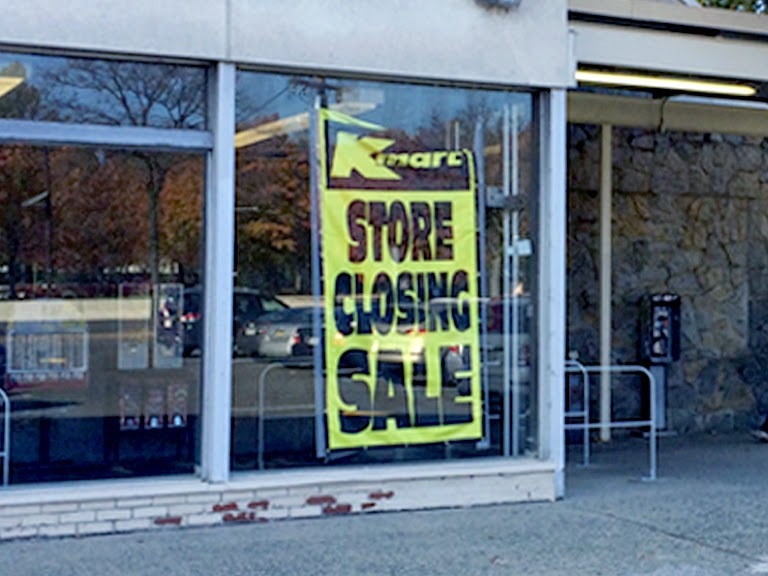 Sears and Kmart are more than happy to give up a store, regardless of profitability, if someone else shows interest. 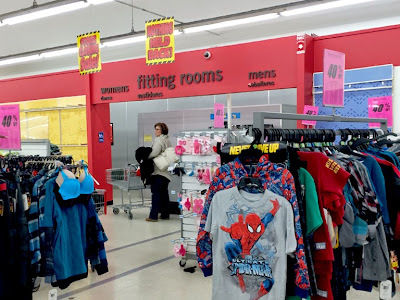 The company is even leasing space in their stores to other retailers who are willing to move in and share the space. 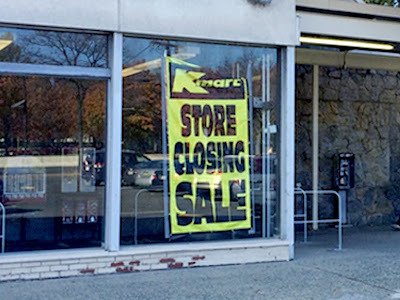 Very limited "Store Closing Sale" exterior signage. 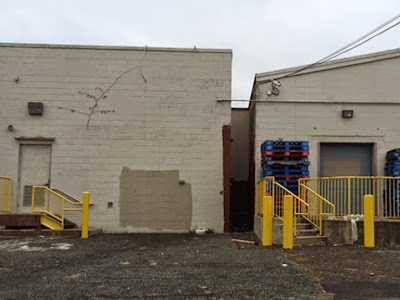 The main portion of the building here is very similar to Penn Fruit locations we've seen on the blog. The arched area of the store houses the clothing departments and front-end. 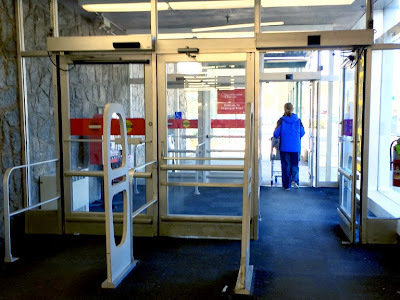 We're going to enter from the other side in order to save the best of the interior for last. 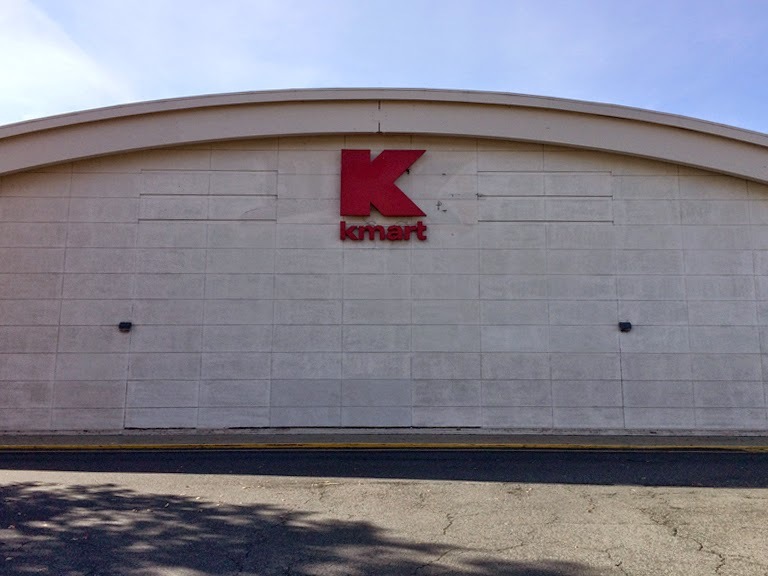 If you look closely, you can see the "Big Kmart" scar. 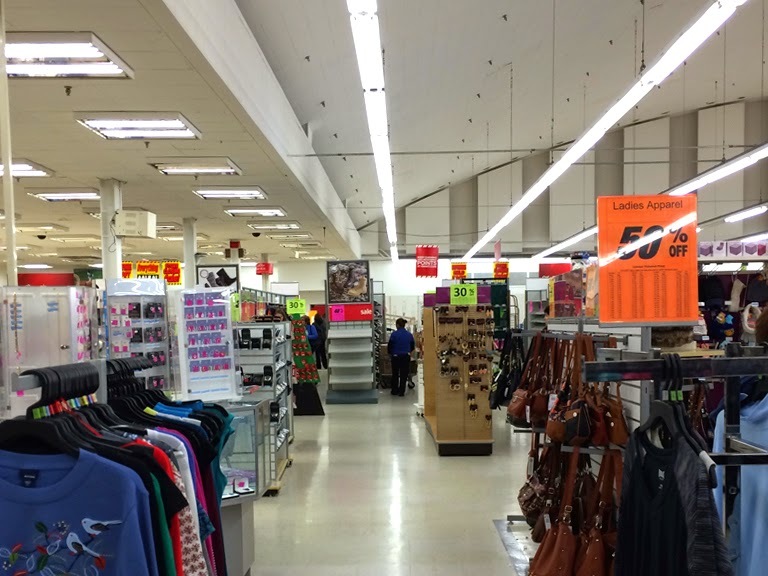 The store has had two significant remodels in recent years. 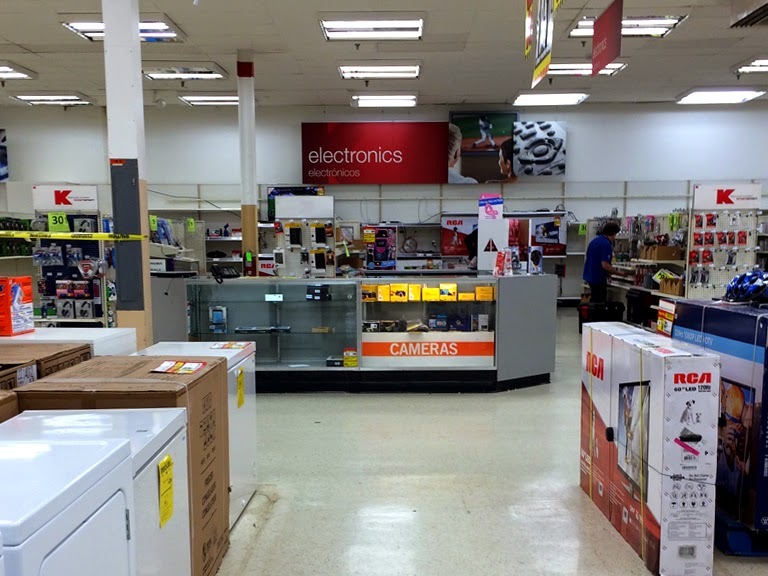 First, the brown and orange retro look with an internet café being added to the front of the store. 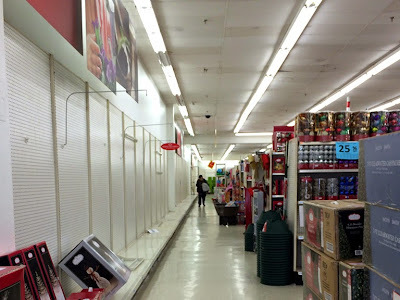 This remodel also saw the unusual relocation of the grocery department to the very back corner of the store. I believe that change was reversed for the last remodel which had the it moved back to it's original spot. 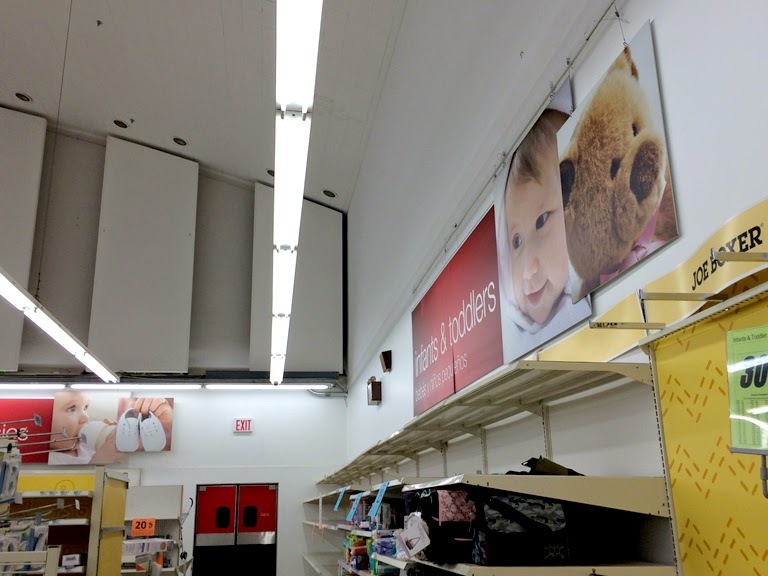 Hard to tell as the back corner of the store is completely emptied out now. The Garden Shop is in this corner. 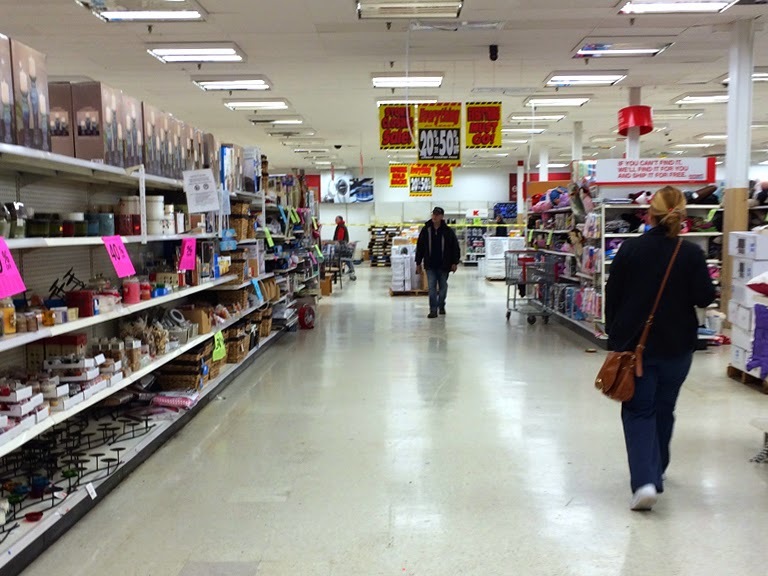 Long hallway heading in on this side, normally stocked with seasonally and sale items. 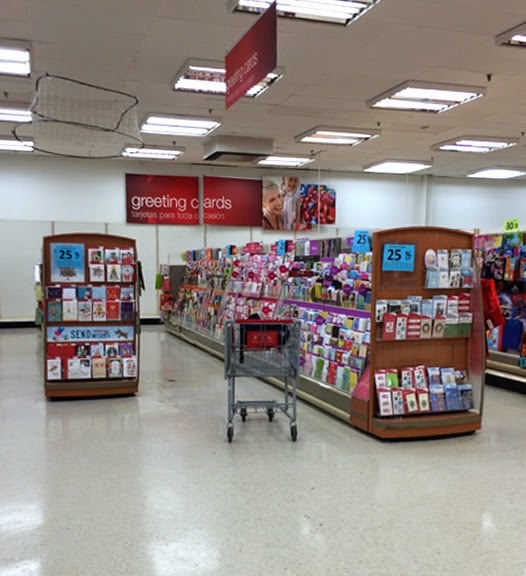 Quick look across the front-end. 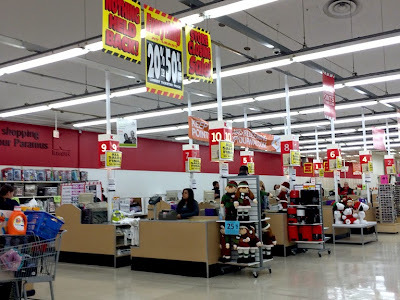 Nearly every register is open. 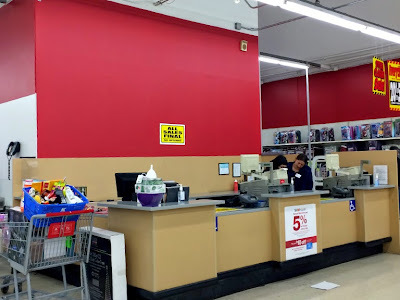 The original home to Customer Service. 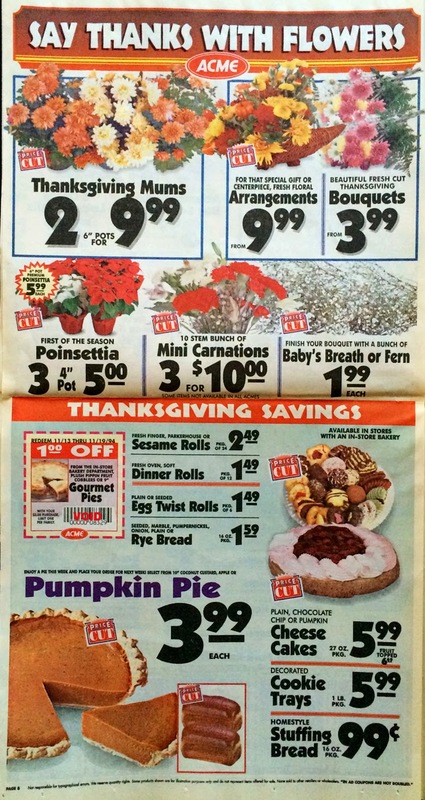 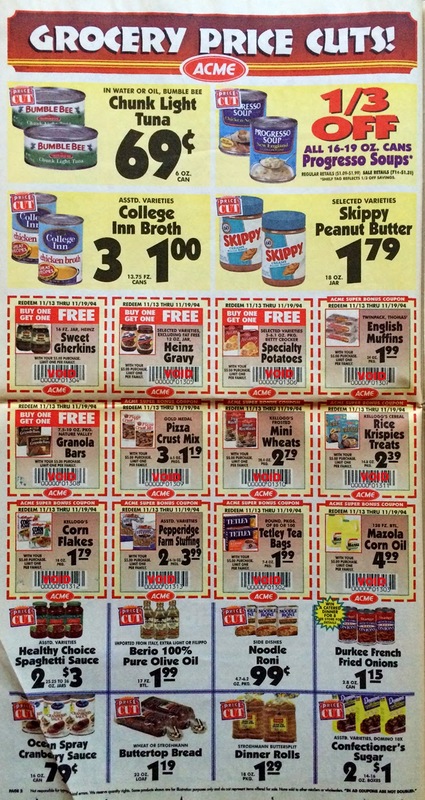 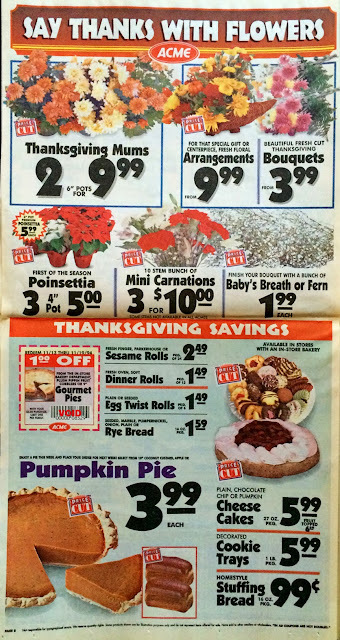 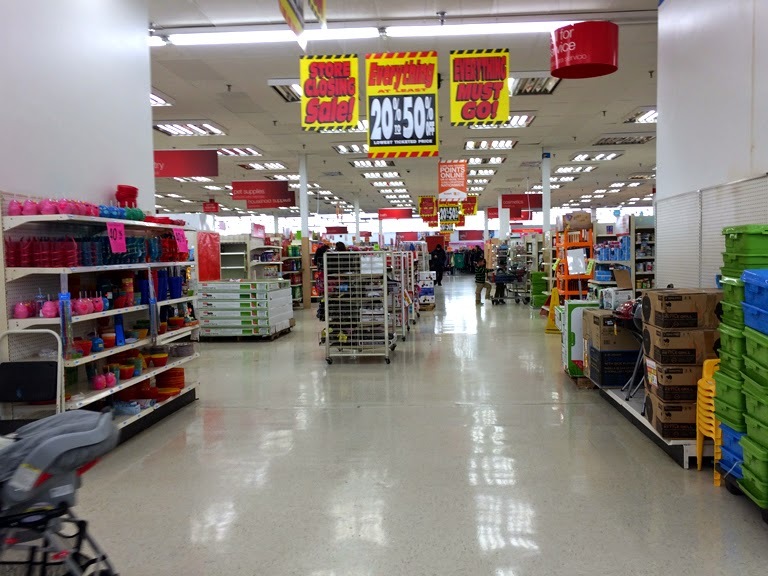 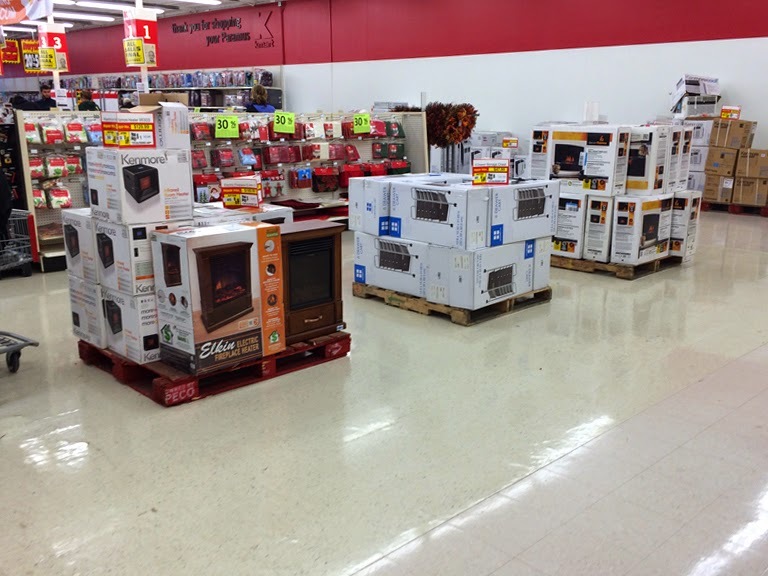 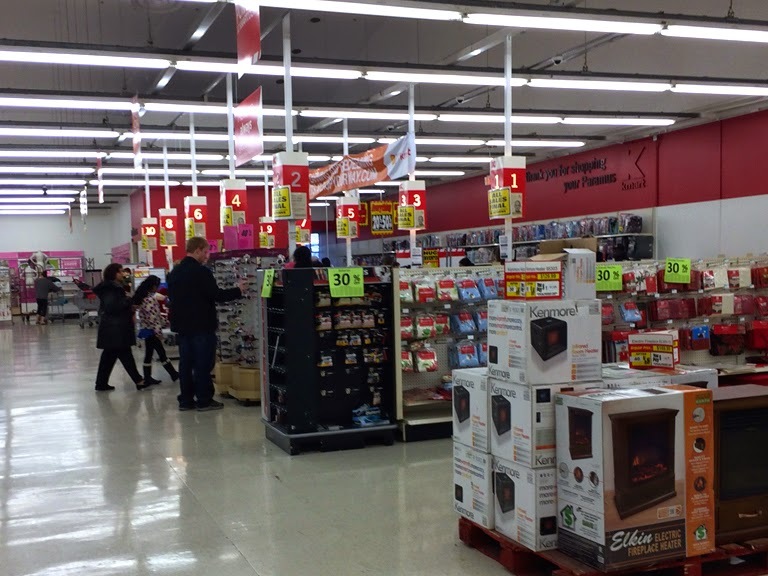 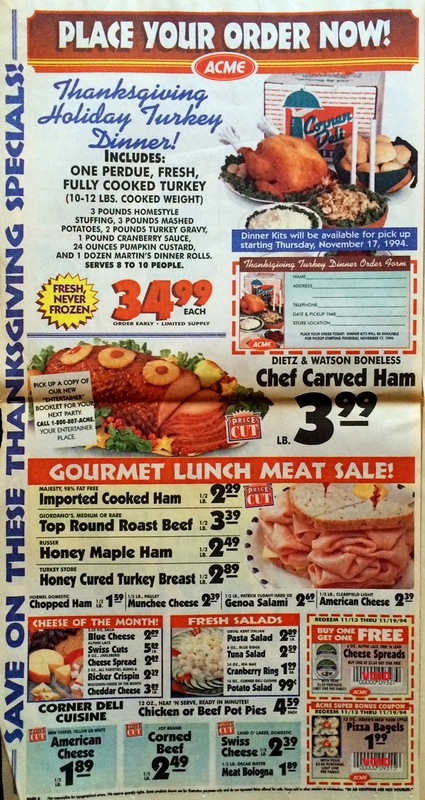 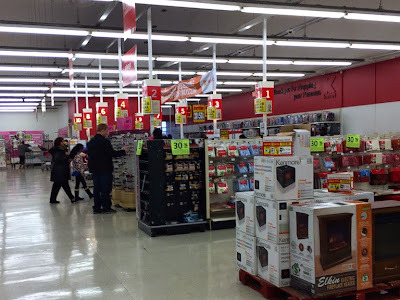 Remember the "Big Kmart" service counters with the giant TV screen built in? 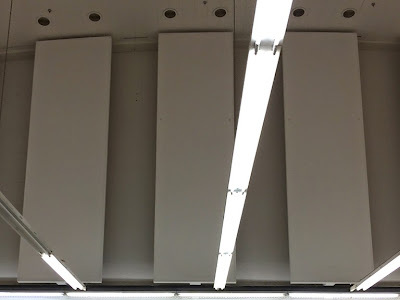 Those things went dark not long after they were put in. Seemed like a big expense at the time which did absolutely nothing for the stores. Looking towards the back of the store with a preview of the arched ceiling. 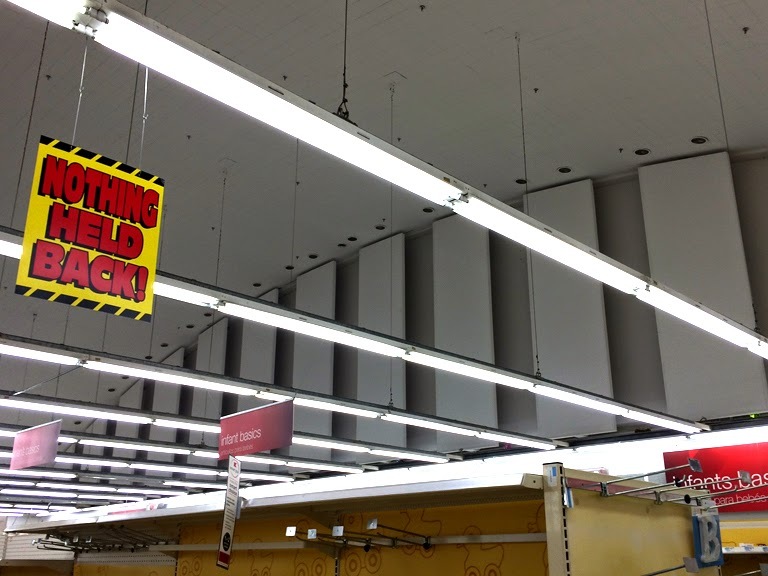 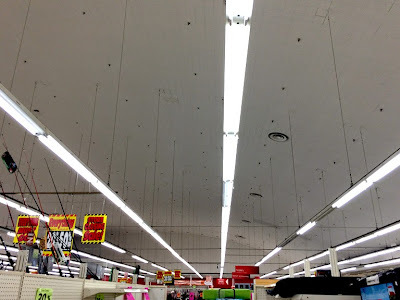 The ceiling did not look this good in the early 2000's when I shopped here regularly. It was very gray and lifeless. 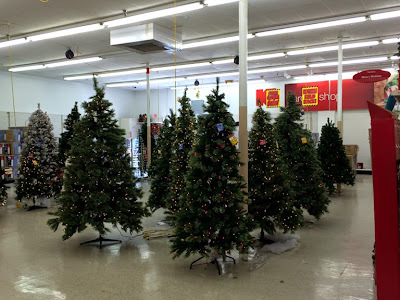 Looking towards the back after a few more steps in. Turning to the left we see greeting cards and heath & beauty which back up to the hallway that we entered through. 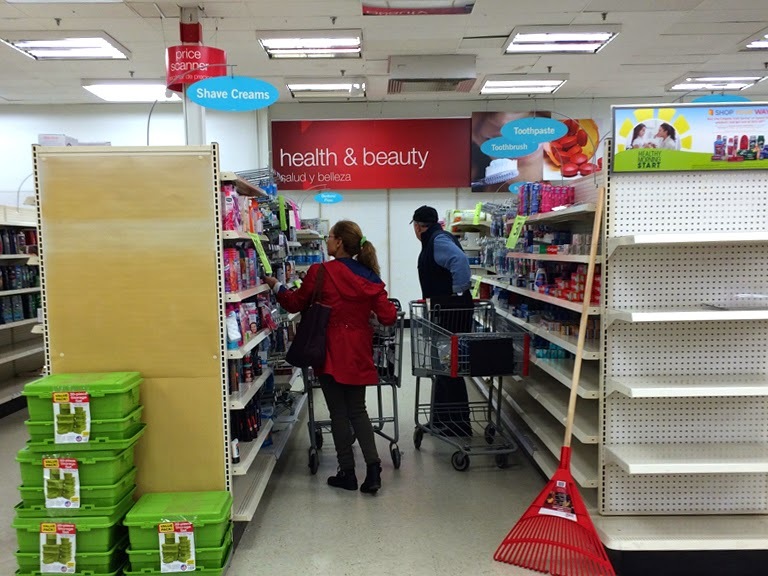 Love that random rake just standing there! I'll take it!! 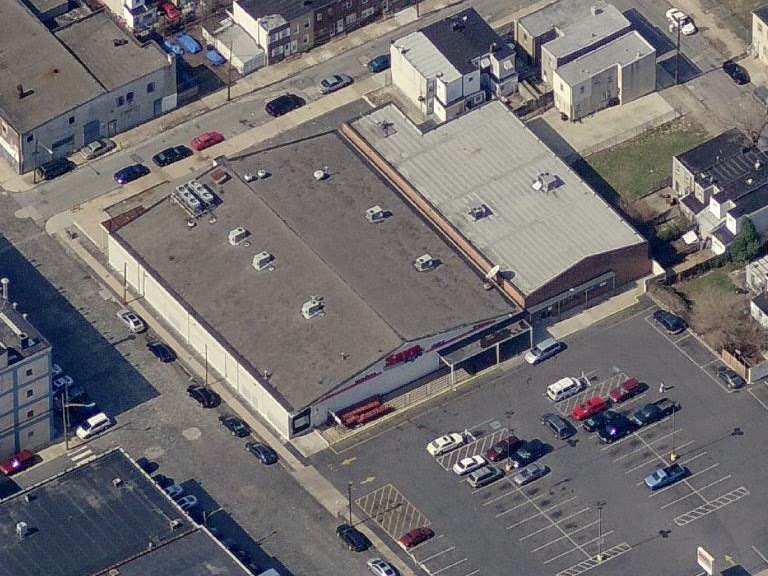 Across from heath and beauty is where groceries where located during liquidation. 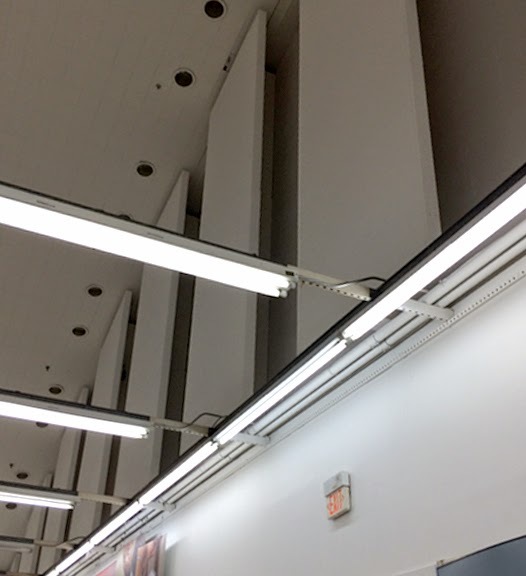 With the refrigerators here as well, I'm assuming the department was returned to its original spot after the last remodel. I nearly laughed when I saw the refrigerated cases. 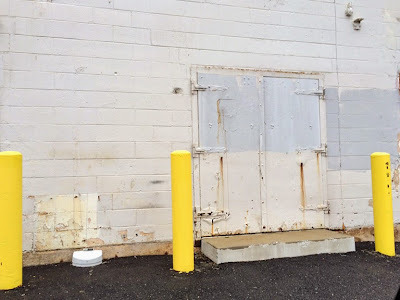 About 6 doors in total. 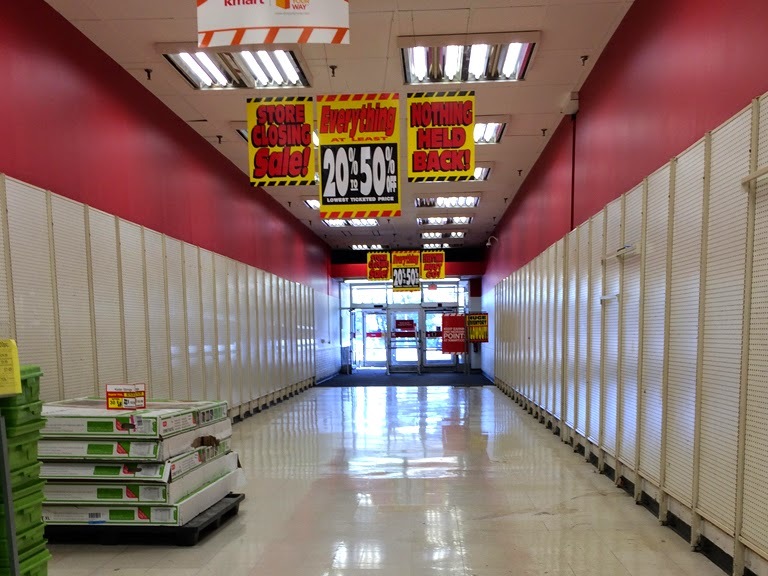 Sad comparison to Target's extensive refrigerated departments. 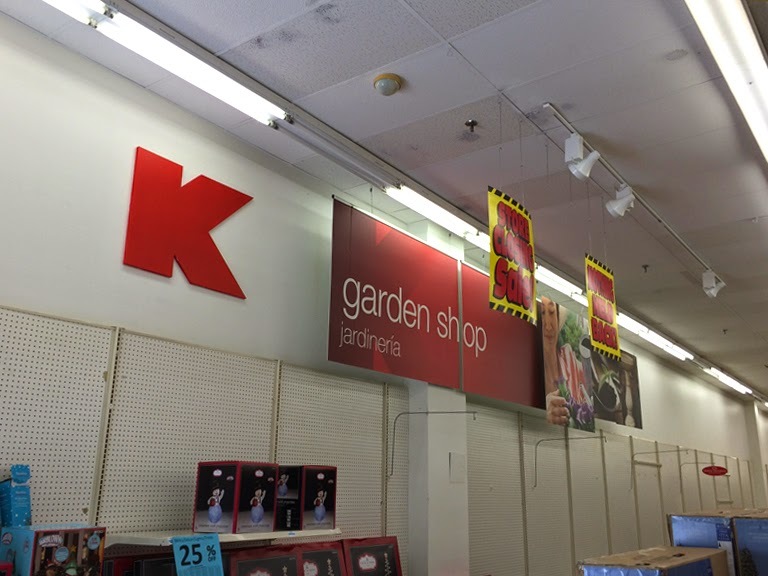 Looking over to the Garden Shop. Several different ceiling heights and lightning styles throughout the store. The "K" on the wall is leftover from the orange and brown remodel. 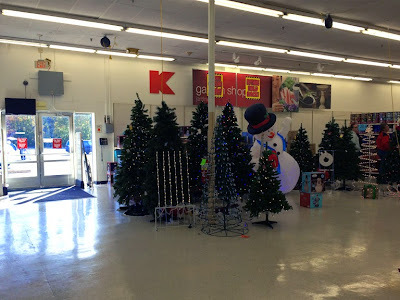 Looking from the garden shop over to the right side of the store. 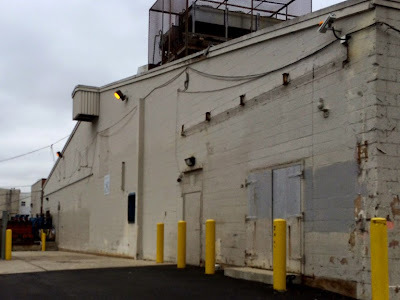 Facing the back once again. 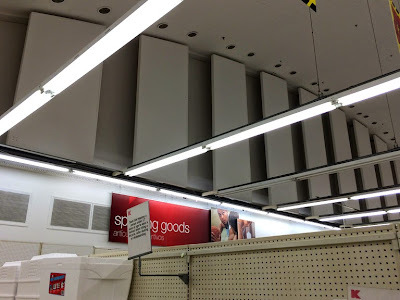 You'll see these huge support columns that would indicate an addition have been done to the store. And time to head to apparel where things get really interesting! 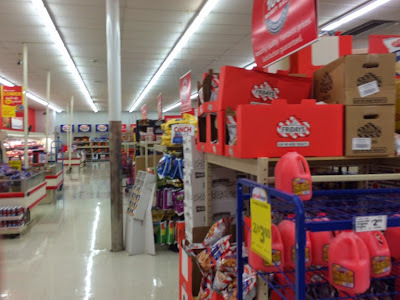 Tons of pictures of for this portion of the store. 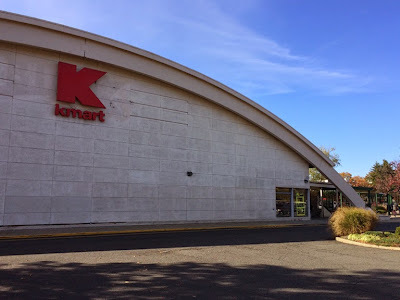 I just love this architecture here. 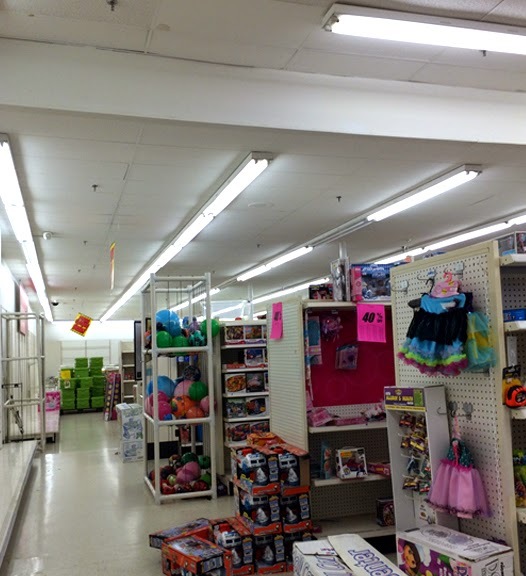 Spot lights running along the back are not in use. 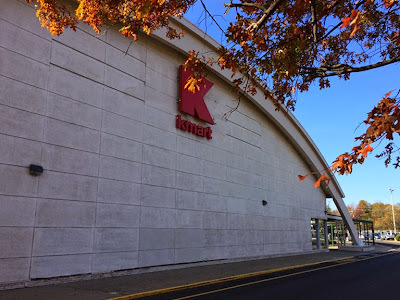 Another "K" left over from the orange and brown remodel. 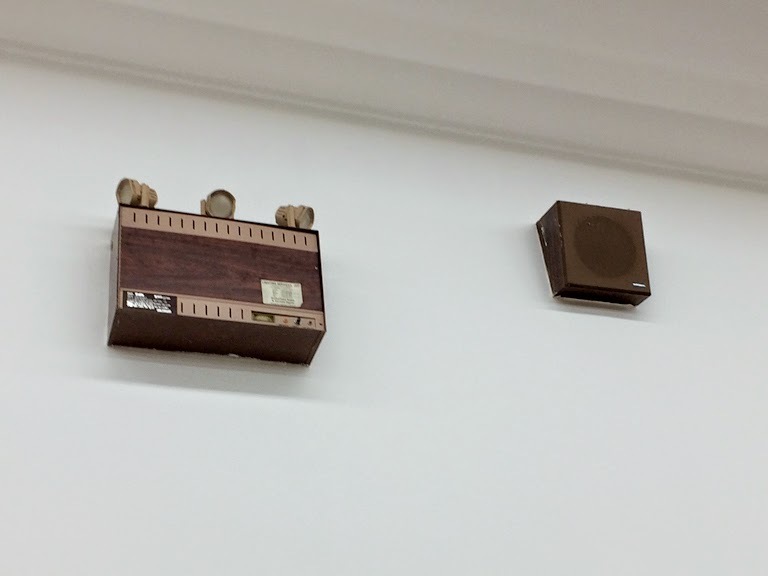 Seriously old school security lights and intercom speaker! Not sure if Customer Service lost its signage or never had any to begin with. 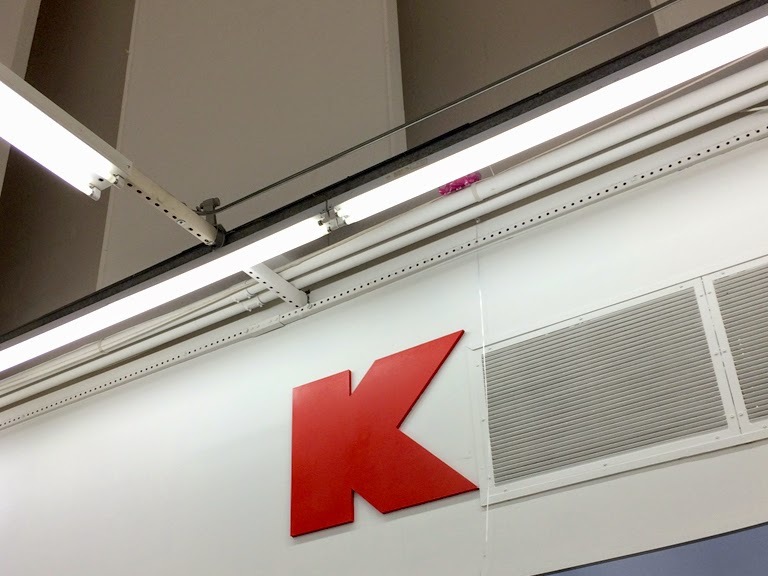 That's the way to make your logo stand out. 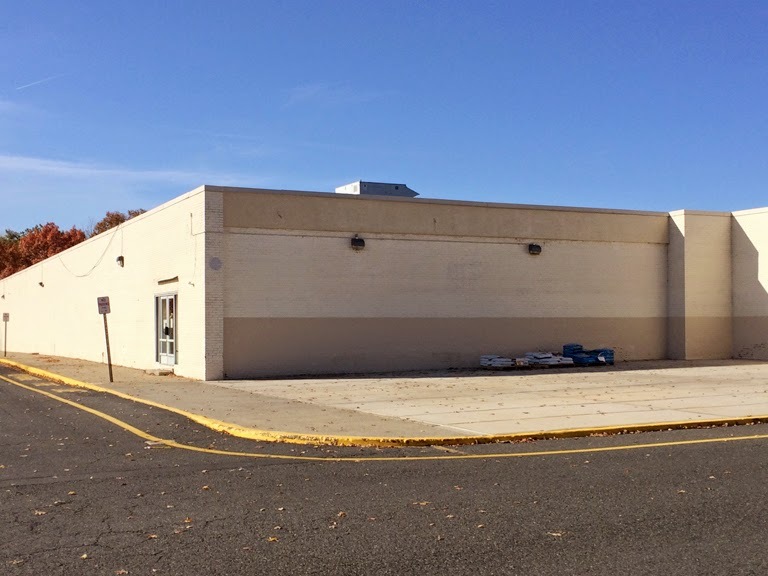 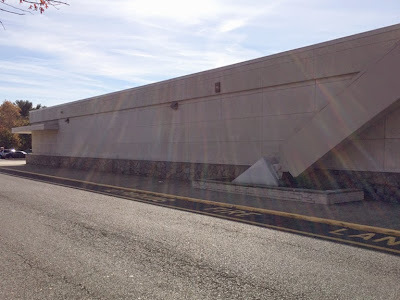 For coverage of the former Grand Union/Stop and Shop in this shopping center, please click here. 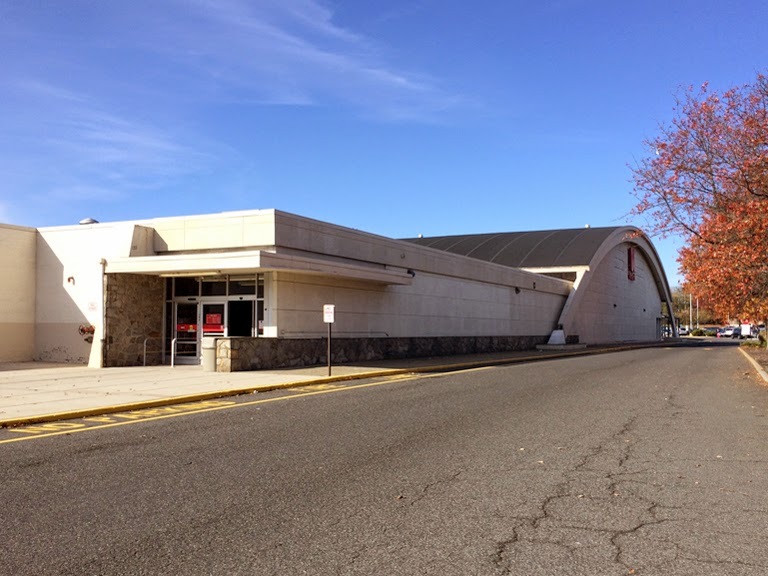 Last Call for New Britain and Warminster!